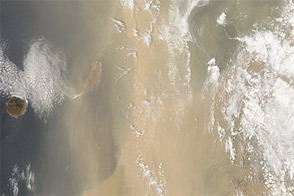 During the summertime, dust is commonly lofted into the air from northwest Africa, sometimes traveling to neighboring continents. 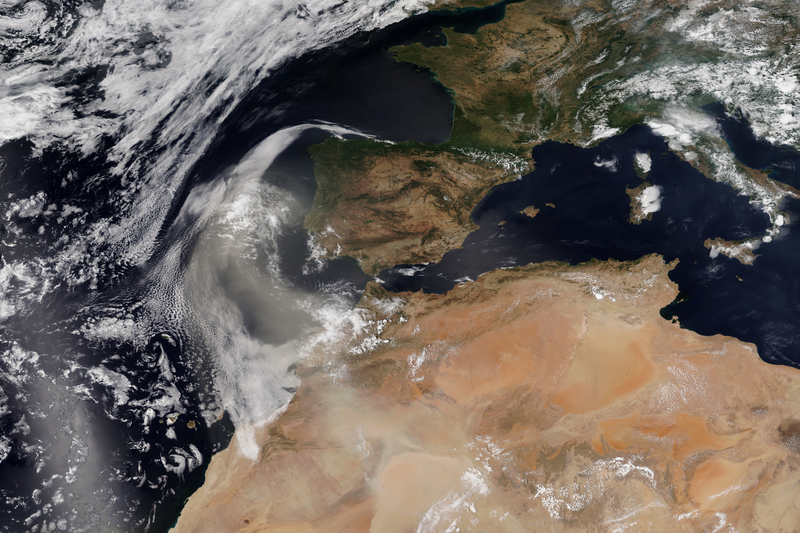 This image shows a dust storm coming from the Moroccan coast and traveling north towards Europe. The image was acquired by the Visible Infrared Imager Radiometer Suite (VIIRS) on the Suomi NPP satellite on August 2, 2018. 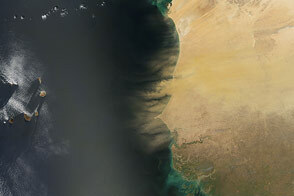 Data from NASA's Global Modeling and Assimilation Office shows the dust storm was created when a high pressure system (clockwise winds) moved over Algeria and then Morocco on July 31, kicking up dust from the Saharan desert. The system continued to travel over the Atlantic Ocean and towards Spain and Portugal, bringing more dust along for the ride. 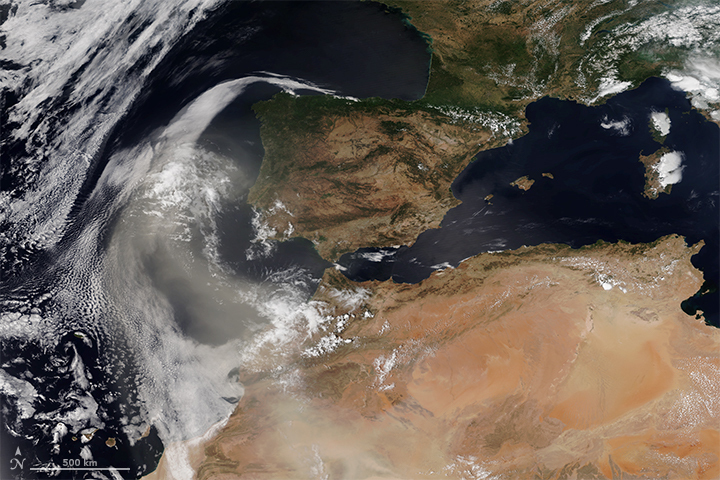 The Moderate Resolution Imaging Spectroradiometer (MODIS) on NASA's Terra satellite shows the dust reached Spain and Portugal on August 3. NASA Earth Observatory image by Lauren Dauphin, using VIIRS data from the Suomi National Polar-orbiting Partnership. Image interpretation by Hiren Jethva. Caption by Kasha Patel.